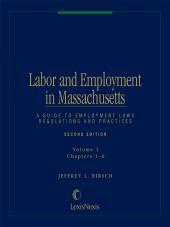 Written for business owners, personnel directors, general managers, and human resource staff persons who are managing Massachusetts employees on a daily basis. 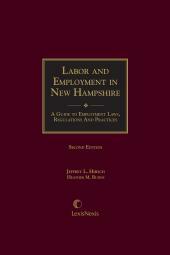 Written for business owners, personnel directors, general managers, and human resource staff persons who are managing Massachusetts employees on a daily basis, this two-volume desktop reference provides basic information concerning the laws, regulations, and policies affecting labor and employment in Massachusetts. Use it to develop a personnel policy and as a resource to answer questions on employment law issues. 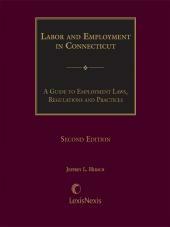 It offers solid guidance on important new procedures and potential sources of liability. This product gives you everything you need on the federal and Massachusetts compliance requirements, pulled together in one place. Jeff Hirsch is a founding partner of the boutique law firm of Hirsch Roberts Weinstein LLP which focuses on litigation, labor and employment. He deals extensively in all areas of labor and employment law. This includes representing both union and nonunion employers in matters such as union organizing campaigns, labor negotiations labor arbitration, wrongful discharge, and sexual harassment cases. He has appeared before the National Labor Relations Board, the Occupational Safety and Health Administration, the U.S. Department of Labor, and other related organizations. Mr. Hirsch was appointed by the governor in 1995 to the Advisory Board of the Massachusetts Commission Against Discrimination and continues to serve. In 2005, Mr. Hirsch was elected a Fellow in The College of Labor and Employment Lawyers, which is a non profit professional association honoring the leading lawyers nationwide in the practice of labor and employment law. Membership to the College is by invitation only reserved for those who have the highest level of character, integrity, professional expertise and leadership. 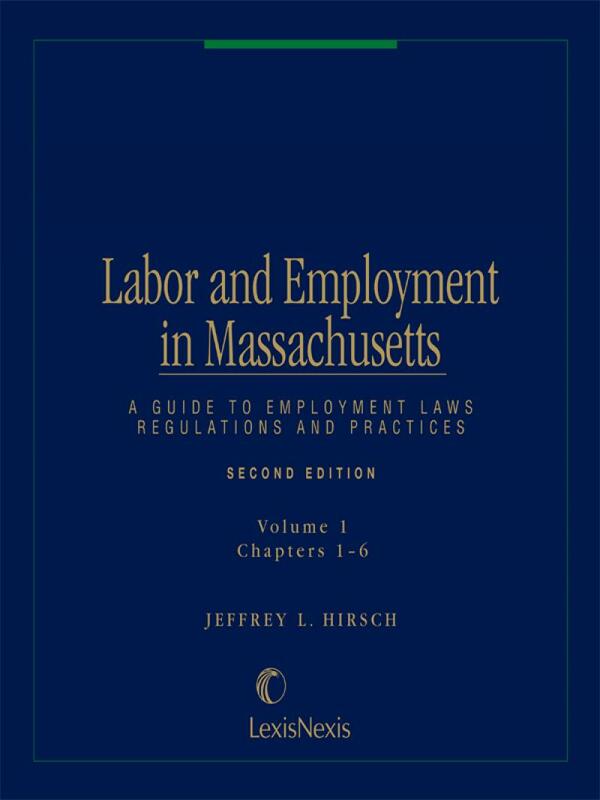 Mr. Hirsch, who is ranked by both Chambers USA and the "Best Lawyers in America" as one of the top labor and employment lawyers in Massachusetts, has lectured and written extensively on employment topics. 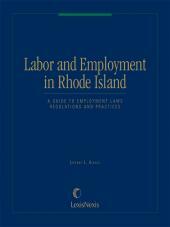 His books include Labor and Employment in Massachusetts, Labor and Employment in Connecticut, Labor and Employment in New Hampshire, Labor and Employment in Rhode Island, and the Occupational Safety and Health Handbook, all published by LEXIS NEXIS. His books are used by thousands of lawyers, human resources professionals, and managers. Since 2001, Mr. Hirsch has served on the editorial board for Bender's Labor and Employment Bulletin, a national publication covering the full scope of labor and employment law issues. Mr. Hirsch received his B.S. from the Cornell University School of Industrial and Labor Relations and his J.D. from Boston University. He taught in Boston University's M.B.A. program and is a Fellow in the school's Human Resource Policy Institute.